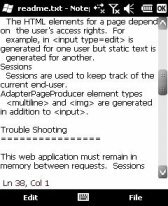 notepad freeware downloads for Windows Mobile Phone. Notepad is a simple text editor. 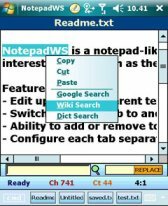 Often I need to use a s.
Summary: NotepadWS is a notepad-like application with TABS feature and some interesting tools such as the WEB SEARCH. Summary: A simple Windows Notepad clone for Windows Mobile. 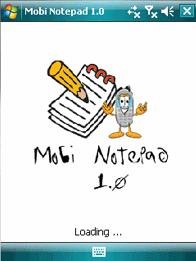 Summary: Mobi Notepad is a simple text editor. 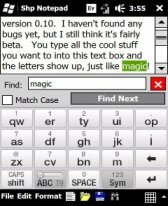 Summary: This is a simple text editor for Windows Mobile. 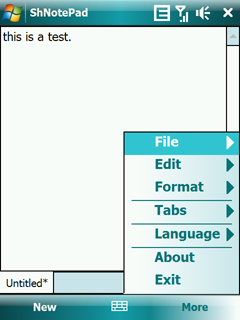 It allows you to open text (and other text based) files. Summary: ShNotePad is a completely UNICODE Compatible text editor that works with any UNICODE compatible input method. You can create, open, edit and save text files that have a mixture of Farsi/English characters.